Hazel M. Kellington School - Hazel M. Kellington School Home - Beautiful Plains S.D. Hazel M. Kellington is a K-5 school located in Neepawa, Manitoba. Currently there are no unusual rates of absenteeism. 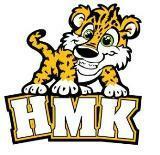 CLICK HERE TO SEARCH THE HMK LIBRARY!